The perception about CSR has always been about spending CSR Budget and is reinforced by the Government. This belief leads us to the prime challenge of de-valuing Intangibles and non-financial reporting’s. In 2012, at the Strategic Growth Forum organized by E&Y I raised a query “Do the companies while mergers and acquisition consider CSR?” The response was zilch and ambiguous. Today, in 2014 post the approval of Companies ACT 2013, I raised the same query and the response is the same. In fact, the answer of the M&A Professional was why is CSR factor essential while dealing in M&A? It is flabbergasting to listen such questions from well-known philanthropist, industrialist to M&A Professionals. How de-valued are non-financial reporting, and intangible gains even after making maximum contribution towards the growth of the company. On further dwelling on the issue I realize that people are less aware about its importance. There is less knowledge about methodologies such as Social Return on Investment (SROI), CSR Index and similar concepts in the developing nations. These techniques value the intangible work done by Social arms. The people impacted by the social activities become loyalists of the companies and can be valued as either marketers, enablers for smooth operations or any term wherein they contribute. If we look at Tata Jamshedpur Steel Plant, no other company can enjoy the trust, loyalty and goodwill offered by the community towards Tata group, can we undermine these attributes and make them valueless? Apart from Social and sustainable contribution the latest technique of Impact Investments are an undisputed value creator for a company’s performance, future and sustainability. Non- Financial Reporting such as Global Reporting Indicators (GRI), Integrated Reporting (IR), AA1000, and other varied forms of reporting/frameworks add credentials to the company along with a means to learn the indicators which enable a company to run efficiently in a sustainable and socially responsible manner. In times to come, it would be inane to focus only on Balance sheets and P&L statements of a company while M&A when other reports enable a company to generate business in sustainable fashion in years to come. 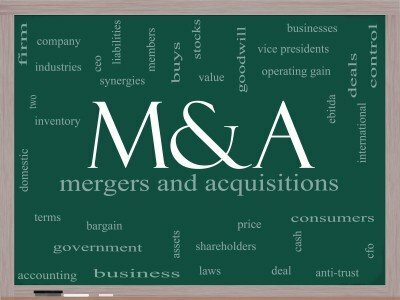 CSR and Sustainability indicators are inevitable factors while forging M&A. It would be a very expensive proposal to overlook these factors in future. We can cite the example of Patni who showed remarkable profits, assets in the financial records but in reality got a blow due to unethical practices. Patni was proactive on Social welfare activities front and won several awards for it but lacked on ethical practices thus making an unsustainable business proposition. On the contrary, it is hard to cite an example of CSR and Sustainability compliant company with low financial records.